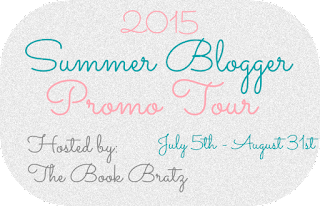 Welcome to the 7th stop on the Summer Blogger Promo Tour hosted by The Book Bratz! After this we only have one more stop to go. I hope all you have enjoyed getting to know these bloggers. 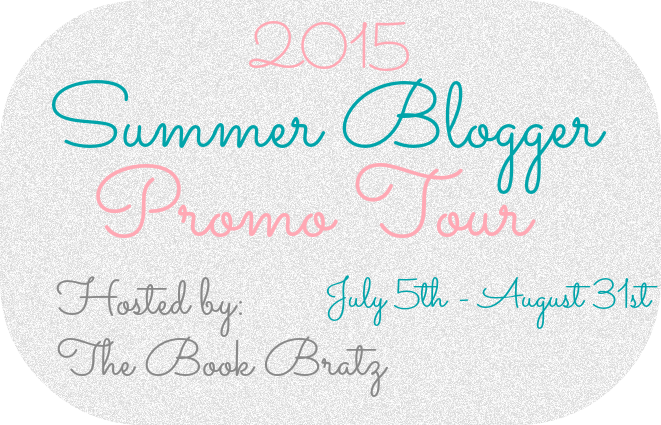 This week I'm hosting Patrick Castro from The Bookshelves. We both decided that we would like to make a post about then 10 books we absolutely can't live without. You can check out my list on Patrick's blog here. Here is my list of my Top 10 Books I Can't Live Without! I looove John Green's book and no doubt this is one of my favorite books from him! So adventurous and fun, I love it. Absolutely one of my favorites from Mead's amazing, thrilling Bloodline series. The conclusion was perfect and hit the balance of action packed, to romance to suspense. I can't believe I took forever to pick this one up, I literally just picked it up this summer. I loved everything about it. It opened a lot of new thoughts and the ideas in the novel were so fresh and new. Must read for sure, if you haven't picked up any of Green's novels! While Divergent was good, Insurgent just blew me away! So much action, emotion, and suspense in the pages it became one of my favs of all time! Dreamfire was such a unique book, and I always try to find new YA novels with new concepts or plot, and Dreamfire was no exception. It was unique and if you love dream traveling books or action books, this one is for you. Picking this one up in the beginning of the year, I absolutely loved the plot and idea of the novel. Thinking of Green's TFIOS with Eleanor and Park by Rainbow Rowell. Perfect combo! One of my first Lauren Oliver books and definitely not my last. Vanishing Girl was such an explosive and thrilling novel, it opens a lot about family dynamics to identity to the goodness of people. A must read! McGovern's novel does YA contemporaries justice! It was such a good, heartfelt book I found myself right next to the characters and their emotions. Murphy's novel was very TFIOS-esque and I think that is why I enjoyed it a lot. It devolved a lot about finding love despite your circumstances. Ever since Mead's Bloodline series, I have not read any other vampire series that does it any better. The first book just blew me away and you must pick this one up! About Me & My Blog: Welcome! My name is Patrick Castro and I'm currently 17 years old and a senior in high school. I have been blogging for 3 years solid and currently I transitioned my book blog to more of a lifestyle blog. So in addition to all the YA book reviews, bookish memes, and interviews you'll also see DIYs, men's fashion, and inspiration. I started blogging because I absolutely loved reading and I wanted to share my love of YA books to others! Be sure to follow me on social media, I always update! Next week, I'm hosting Carlisa from Confessions of Carlisa. She'll be sharing with us some of her bookish pet peeves, look out for that next Sunday!